Part of what makes a voyage with Paul Gauguin Cruises so special is the access their small ship provides to some of the world’s most idyllic, unspoiled beaches. Book select cruises and take advantage of Our Agency Exclusive Hosted Cruise benefits: Including host, private cocktail party and a shore event, or up to $100 per person shipboard credit. 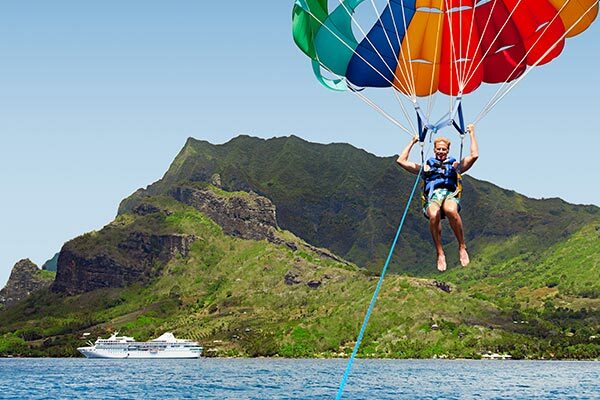 Picture yourself in French Polynesia on a brilliantly sunny morning. You step out onto your private balcony aboard the The Gauguin to a balmy breeze and view the almost uninhabited Taha’a, with its carpet of greenery, rising out of a cerulean sea. 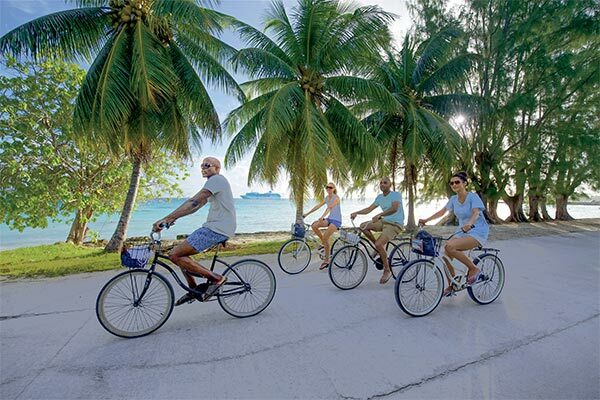 Just offshore lies Motu Mahana, Paul Gauguin Cruises’ private South Seas island, where you’ll spend a day (or maybe two) doing exactly as you please. There’s no end to the indulgences of this private island paradise. Go for a swim in the warm waters. Snorkel with colorful tropical fish among the green and purple blooms of coral. Or paddle out farther on one of the kayaks that have been brought to shore from The Gauguin’s watersports marina. 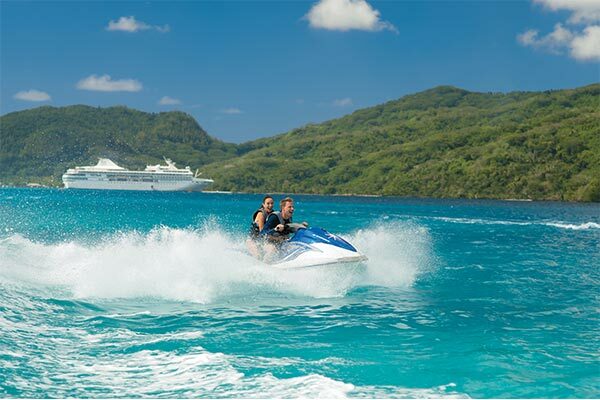 Prices are per person, double occupancy, and include 50% off standard cruise fares. Category F.
All fares are in USD, per person based on double occupancy and are subject to availability. Prices vary by departure, are for new bookings only on select sailings listed in this brochure and may not be combinable with other offers or promotions. Prices include 50% off standard cruise fares. Single supplement pricing is available upon request. Economy Class airfare from Los Angeles or San Francisco is included and based on availability in class of service; air add-ons from home city are available on request. Air credit for non-use of this promotion is available. Port, security, and handling fees are additional. Pricing for the third guest in the same stateroom is as follows: 17 years old and under, FREE; 18 years of age and older, $125 per night. Third guest is cruise-only; air and taxes are additional. Ensemble amenity is per person, per sailing on select sailings only. Ensemble amenities are not combinable with cardholder cruise privileges/amenities and are applicable only to first and second guests in stateroom. There is no cash value for unused shipboard credits. Other restrictions may apply. Ships’ Registry: Bahamas.